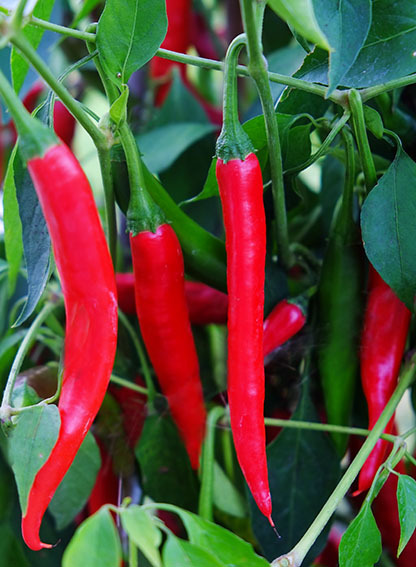 A cayenne-type chilli producing flavourful, medium heat fruit that are slightly fleshier than some cayennes. Measuring around 2 x 14cm, the elongated fruit start green and ripen to a rich red. 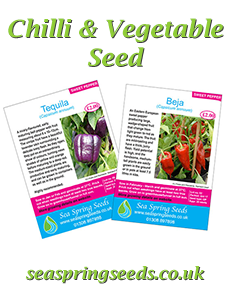 The plants are early and high-yielding, and at about 50cm tall when grown in large pots, are not overly rambunctious. 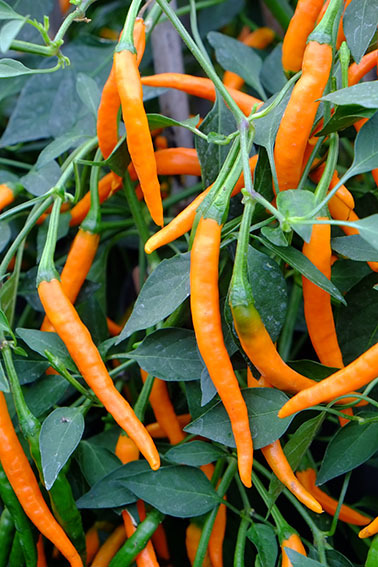 Other cayenne chillies that we sell include Kilian (ripens to an orange) and Kristian (ripens to a yellow).